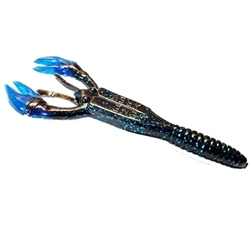 Gene Larew is the original craw bait and still the best on the market! Nothing fools 'em quite like a Gene Larew Salt Craw. They are offered in a size and color for every fishing need. Rig them on a jig head, rig them Texas-style. It doesn't matter because you can't fish them wrong.